Macclesfield Roofing specialises in flat roofing and do this by laying a new and improved coating to give your roof lasting protection to prevent any leaks. 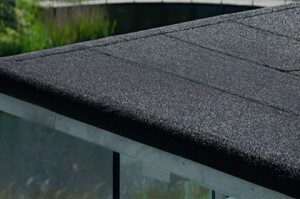 Here at Macclesfield Roofing, we use HT polyester roofing felt to give you lasting protection. Customers can be rest assured they will receive a top rate service and we also offer a 15-year guarantee on all work undertaken, giving you absolute peace of mind. Flat roof is an ideal solution to cover small building such as garages and extensions. They are constructed with a horizontal base which is fixed to ceiling joists with a waterproof membrane. They can be laid using traditional materials such asphalt or a three-ply bitumen (for more information about torch on felt roofing, click on link) with a thin layer of gravel to protect the roof from UV sunlight. A slight pitch is usually incorporated so rain water is drained away and doesn’t pool on the roof. This method is considered to be an affordable option for homeowners when constructing extensions and garages, as less materials and labour time is required than a tiled, pitched roof. You can expect a felt roof installed by Macclesfield Roofing to last 20 years. For more information about Macclesfield Roofing call us on 01625 427 581.